The social contributions of private providers of education, including faith-inspired schools, is crucial in Africa today. Such schools are vital to the achievement of development goals, as well as to addressing growing challenges of socio-political stability and peaceful inter-faith relations. Yet today little systematic evidence is available on the role of faith-inspired schools in Africa and how they compare to other (public and private secular) schools. 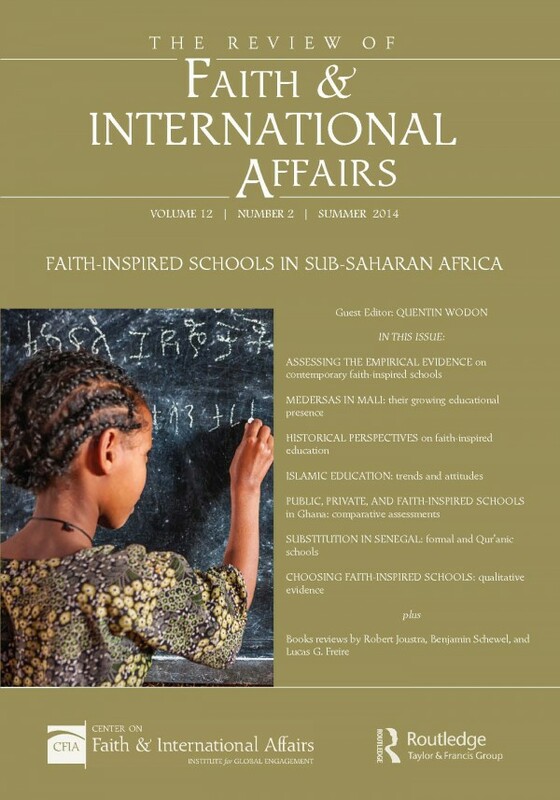 The summer 2014 issue of The Review of Faith & International Affairs aims to help bridge this knowledge gap. It is guest edited by Dr. Quentin Wodon, an adviser in the Education Department of the World Bank’s Human Development Network.